LOVE IS…..an ‘Open Door’ Experience. LOVE IS…your thoughts, your experiences, your dreams. Huddersfield Parish Church will be holding an ‘open door’ event the final week of January. 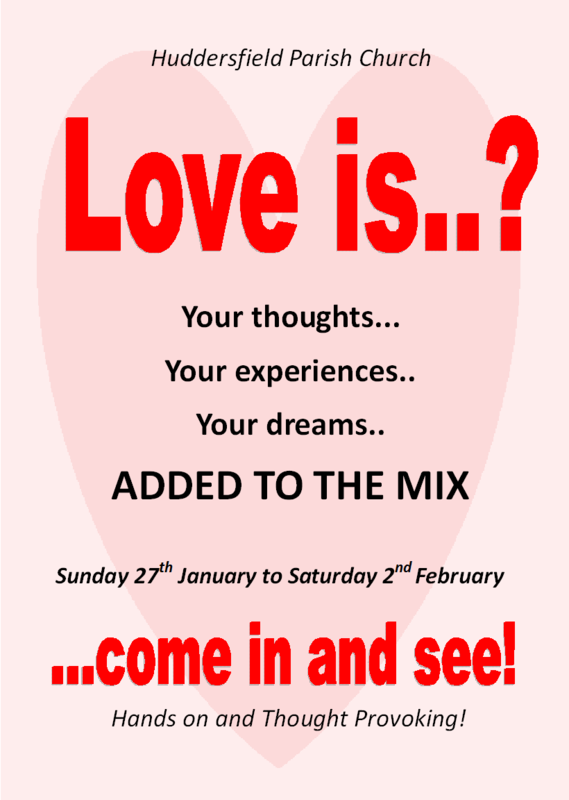 St. Peter’s will be open as usual, with a hands on display on the theme of ‘love’. There will be some unusual and thought provoking ways of looking at the love of ourselves, others and God. 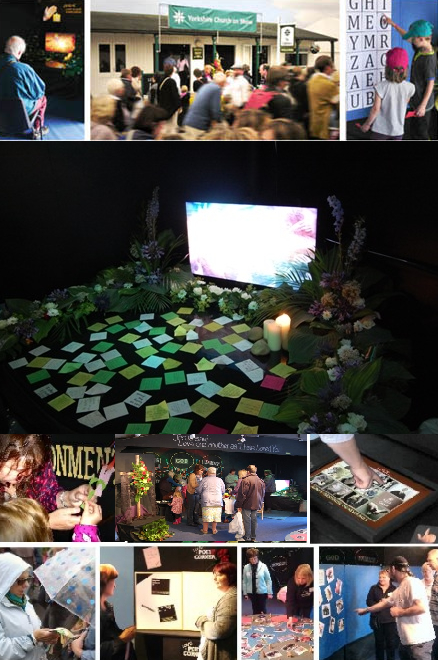 Developed by the Yorkshire Church as part of the Great Yorkshire Show, different displays are held at Harrogate each July; where a team devises and sets up a display based on a chosen Christian theme. This display is designed to be accessible and inter-active for all ages, giving plenty of opportunity for reflection. Previous Post Burn’s Night and Whisky Tasting – Postponed and Re-arranged. Next Post Diocesan Young Vocations Day.